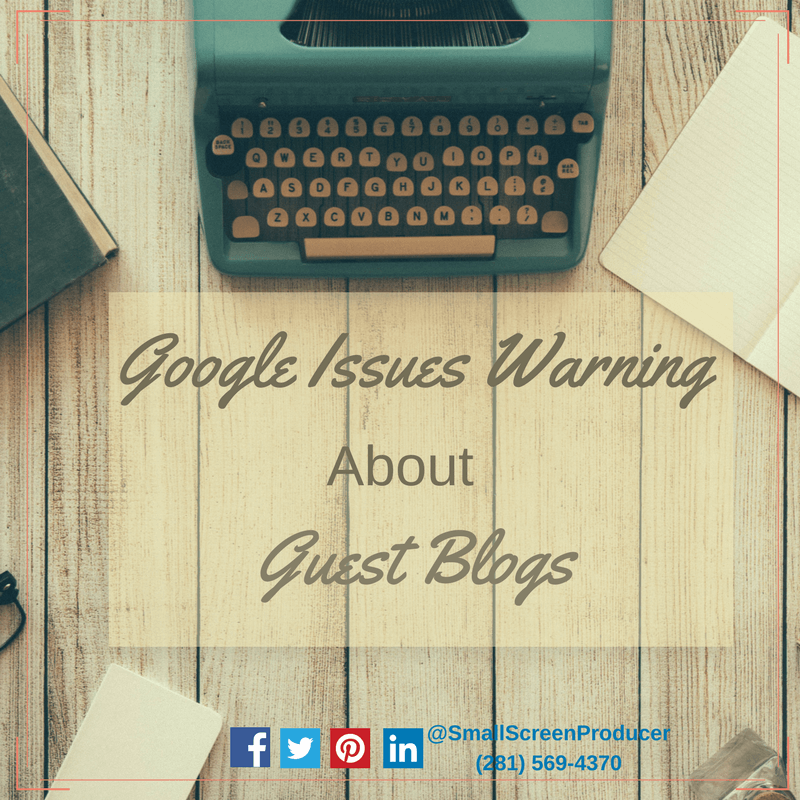 Late last week Google posted a reminder warning about the dangers of guest blogging. While guest blogs or syndicated posts are accepted in general, there has been a sharp increase in the number of spammy links stuffed into these contributor posts as of late. Google has always allowed, if not encouraged, articles which inform, educate or bring awareness to a cause or company. What they do not allow, however, are guest blogs intended primarily to bring links back to the website of the author. The majority of small to mid-sized business owners are not well-versed in SEO simply because that is not their strong suit. Unfortunately, Google cares very little about whether you are intentionally or unintentionally breaking their rules. You still may find yourself penalized or, even worse, blocked or banned from the most popular search engine on the planet. If you are concerned about your guest blogs, performance online or are interested in looking into different digital media marketing strategies, Small Screen Producer can help. We work with our clients to create cohesive online marketing strategies that help companies reach their unique business goals.